Attorney Svetlana Kaplun Helps Homeowners Qualify For Best Home Mortgage Loan Modification Program (Professional FHA, Government, HAMP) To Help Stop Mortgage Foreclosure and Save Their Home. A loan modification is basically a change to one or more terms of your mortgage loan, resulting from the change in the interest rate, reduction of monthly payment amount and/or the duration of the loan. 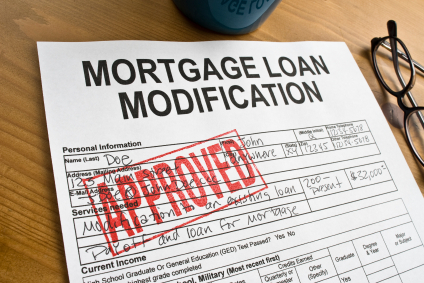 What Is The Purpose Of Loan Modification? The purpose of loan modification is to make monthly mortgage payments affordable for people who have fallen behind on their payments. Loan modification prevents foreclosure and allows homeowners to save their homes! What Does It Mean To Have Loan Modified Under HAMP? Making Home Affordable Program (HAMP) is a government program designed to help many distressed homeowners by avoiding foreclosure and modifying the terms of the original loan. If the home in foreclosure is your primary residence and the amount of your first mortgage does not exceed $729,750.00, you may qualify for HAMP (click on the links below for eligibility requirements and to find out if you qualify for HAMP). Under HAMP, your new monthly payments would be equivalent to 31% of your gross (pre-tax) monthly income. If the servicer cannot reduce your monthly payments to the target 31%, modification cannot be completed under HAMP. Step 3: if necessary, forbear, or defer a certain percentage of the unpaid principal balance until either the borrower sells or transfers the property or the mortgage loan becomes mature (typically, in 40 years). Click here to access all the forms necessary to apply for HAMP. Click here to check if you eligible for HAMP. Click here to view the checklist for income verification. Click here to view the checklist for FHA-HAMP (for FHA borrowers only). What Is A Traditional Modification? Traditional modification refers to a lender's or servicer's internal or "in-house" modification. Where a homeowner does not meet the eligibility requirements under HAMP, traditional modification can provide a solution. Traditional modification is different for each servicer. What generally remains the same is that the bank looks at the borrower's net income, as opposed to gross income (required by HAMP). It is important that the homeowner's expenses are lower than the net household income. The bank will require a submission of a financial package in order to verify household income and expenses. Please Note: If you have an FHA loan and you are more than twelve (12) months overdue on your mortgage payments, traditional loan modification may be your best option. Why Do You Need An Experienced Attorney To Help With Loan Modification? Loan modification is a tedious process that could be very draining to those who are unfamiliar with it. The bank requires a submission of multiple forms and financial documents, which are used to verify the borrower's income, hardship, credit history, owner occupancy, etc. The way these documents are prepared to the very tee will play a role as to whether you could qualify for a loan modification. Likewise, only an experienced attorney will know the formula that banks use in verifying the household income. To accomplish the desired results, it is necessary that an experienced attorney reviews, prepares, and submits all documents. The package submitted to the lender must be complete and the follow ups with the bank must be constant in order to render a positive outcome. While it may seem like a simple process, it may take years for those who have not dealt with it before.